There comes a time in every young hero's life when he must venture out into the vast lands around Hyrule to find the Master Sword! When it becomes that time, it's important to have him prepared. Of course, you need to teach him all about the spin move for use with the sword and how to forage for rupees in the grass. He's going to need to learn how to avoid the dangerous ChuChus that lurk in all the nooks and crannies of dungeons. But most of all, you need to get him geared up in the traditional garb of the hero. Now, that's easier than ever with this prestige costume licensed by Nintendo! 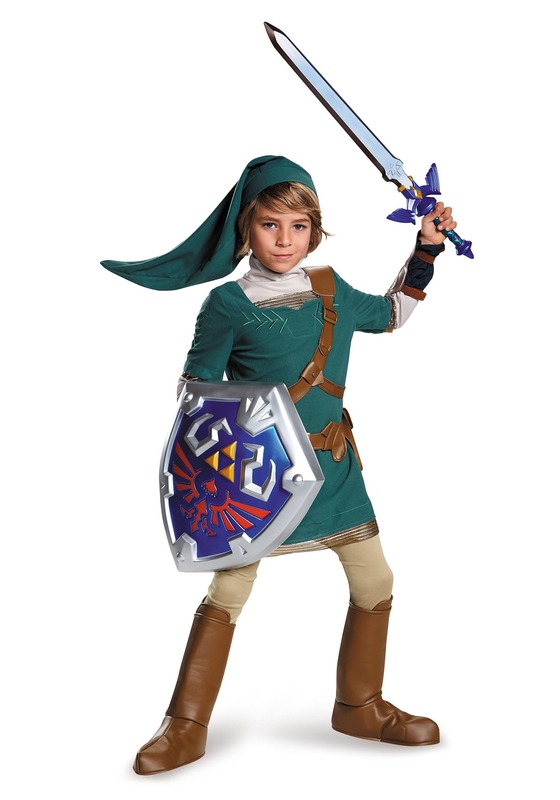 Based on the video game series, the Legend of Zelda, this Child Link Costume brings you the character's signature outfit! 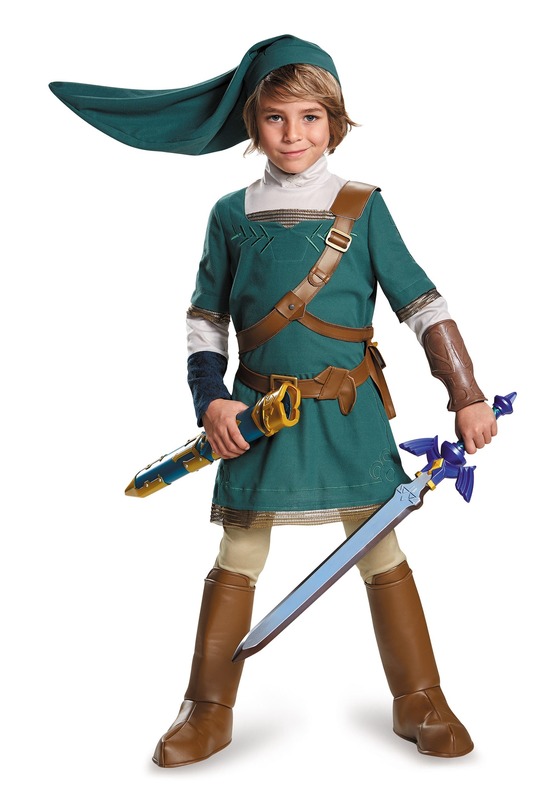 The costume comes with the traditional tunic and hat, making your child's transformation quick and easy! 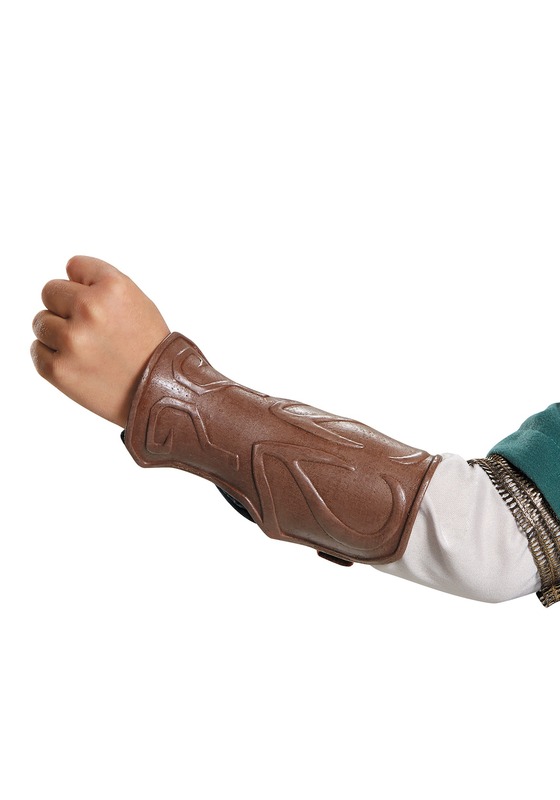 The green tunic top is what he wears during all of his adventures and comes complete with gold “chain mail” accents around the bottom and around the sleeves. 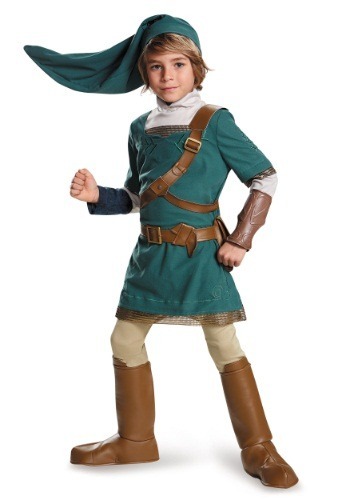 The hat has the classic pointy green shape, so he'll have no problem playing the role of Hylian hero! Just gear him up with a sword and your young one will be begging to mow the lawn in search of rupees!